Hello. I have recently had my rear bumper powder coated, and thought I had better tidy up the corner caps before I fitted it back up. As you can see one is in good nick, but the other has suffered from being rubbed down and painted at some point in the long distant past and has then flaked off, faded, and generally has always looked pretty bad! In fact I think it is one of the worst I have ever seen, ironic that it's on my car. What I want to do is get them looking vaguely similar and a bit more presentable. 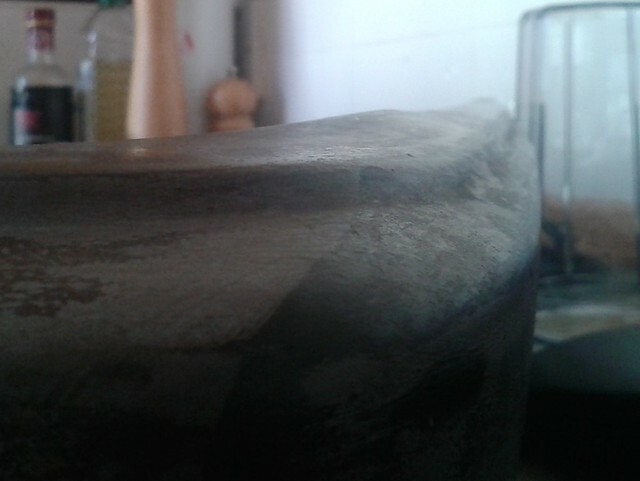 All I've done here is clean them up with kitchen cleaner and give them a scrub all over with a green pot scourer. 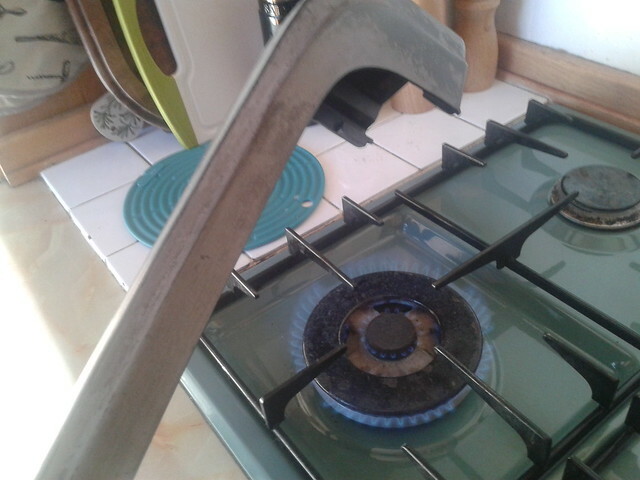 So first job warm up over a good hot heat source and then hold it in the right shape for half a minute. Very easy to get the edges a bit hot and melty, so it pays to not over-do it and not get too close to the flame. Then into the garden for a few coats of HALFORDS FLEXIBLE VINYL PAINT, what else? The problem with them as a pair is that one is the correct texture and the other has been messed about so much its got smooth patches and proper textured bits, but the paint has kind of evened it up a bit and they look much better together. It was a warm afternoon Friday when I did it, so all dried off quick in the sun. 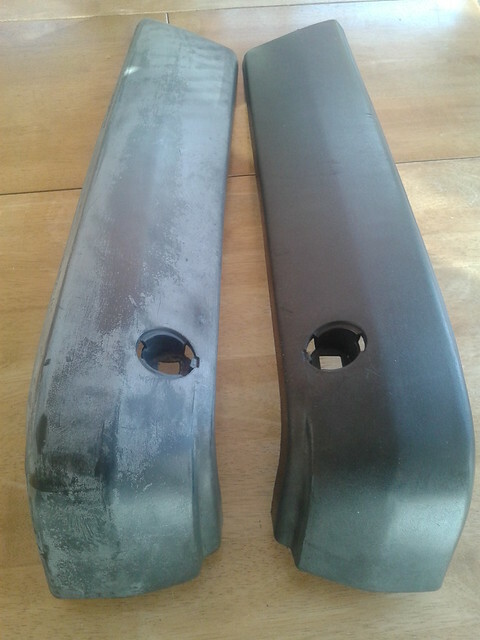 Then onto the ends of the refurbed bumper. Here's detail of the formerly rough one. Not perfect, but a massive improvement. Total cost £9.99 for the can of paint. Good old Halfords flexi paint I think we should all get 10% discount from them with all the publicity we give them , made a good job , I bet your start on the front next . 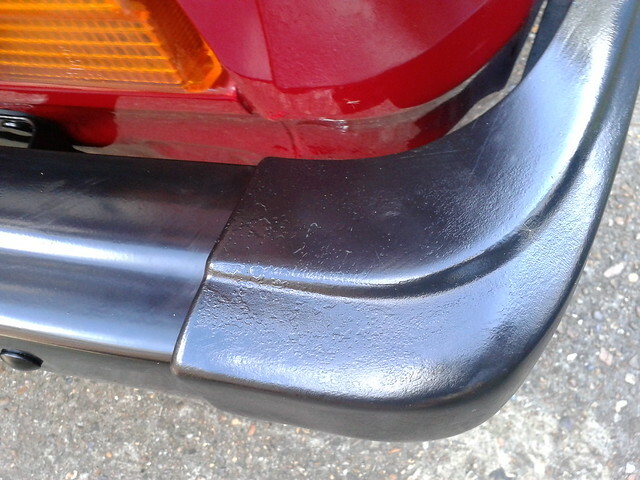 Front corners have been done with satin black in the past, so match each other and look good. 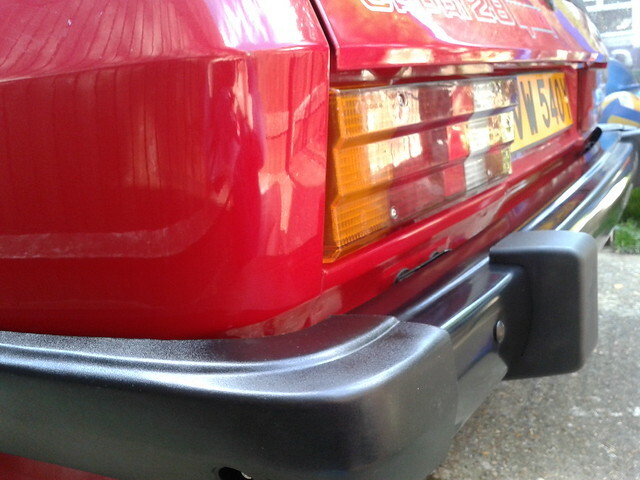 My old Range Rover has plastic bumper corners like the Capri, so I got on and did those too on Sunday! This side looks great and to get the other side looking closer you should have used https://www.arc-rite.co.uk/proxl-protex-textured-bumper-repair-coating-500ml-54-p. It hides the blemishes better and is harder wearing. Nice tip, will try that on the duff corner at some point. 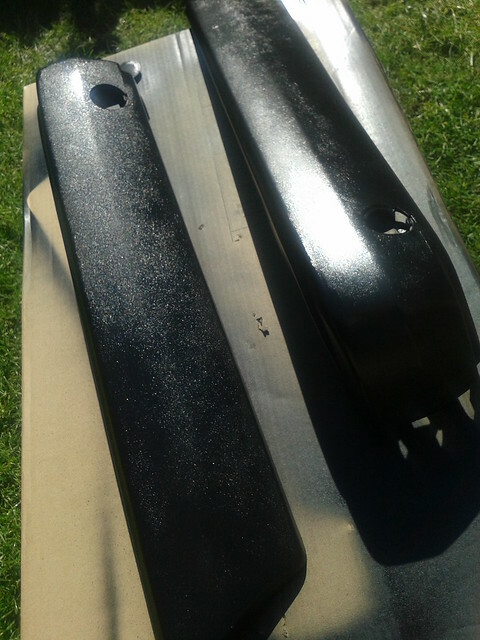 Got the front bumper back from powder coating too now, the difference from the thin old flaking paint the pattern bumper come in, is remarkable. Its given the whole car a real lift. Thanks for putting this post up as i was thinking of what to do with my bumper end caps as ive had both bumpers shot blasted and painted satin black recently. 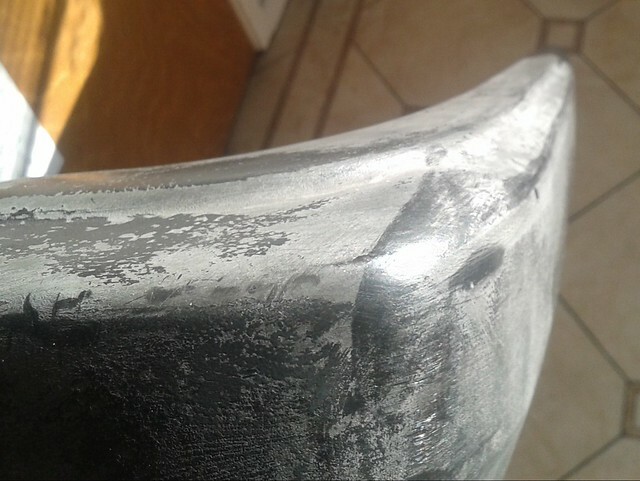 One of my rear end caps has gone the same way as yours where someone has painted it in the past luckily I've got a can of halfords black flexible vinyl paint somewhere that I brought ages ago. 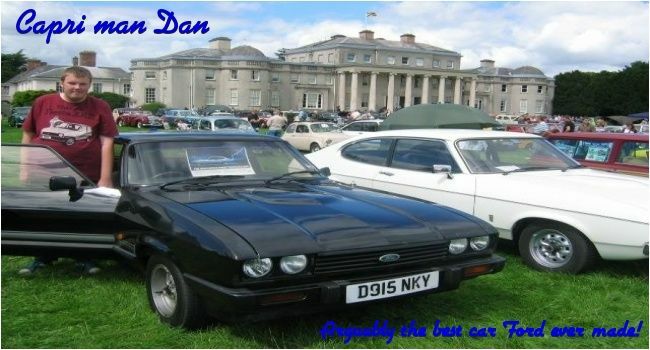 Hi Dan, noticed you are contemplating this on the years anniversary since I did my end caps. Noticed yesterday that the rough one has a tiny bit that has flaked off after it got glanced by a broom handle falling on it in the garage. etc.. until you've had enough!